Which one should I follow?? 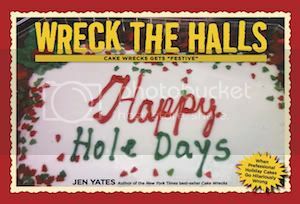 www.cakewrecks.com is blocked on the internet at my job! I can get to cakewrecks.blogspot.com, but not the new site!!! Why have you done this to me?!?!? Congrats!!! I am getting it just fine through Google Reader. Didn't have to switch a thing. Bummer. I can't see any of the images on the new site. I just get the box with the red X.